Partnering with Creative Collective as co-organizers of the Salem Arts Festival was exactly the boost this important community event needed to take things to the next level. The Creative Collective staff was able to bring on more sponsors and community partners than we had ever had, and make them all feel engaged in the event in a way I had never been able to do on my own. Thanks to the collective and it’s extensive network of business members promotional reach increased drastically thanks to both the use of their social media channels and their careful attention to improving our existing channels. Last years festival had record-breaking numbers of attendees, of participating gallery artists, of art sold, of street fair vendors involved, and of performers paid - in fact, we were able to increase our operating income by over 50% . Creative Collective has partnered with Salem Main Streets to co-produce the annual Salem Arts Festival in Salem MA. Every year thousands of people attend this multi day festival that features hundreds of performers, artists, and community members. 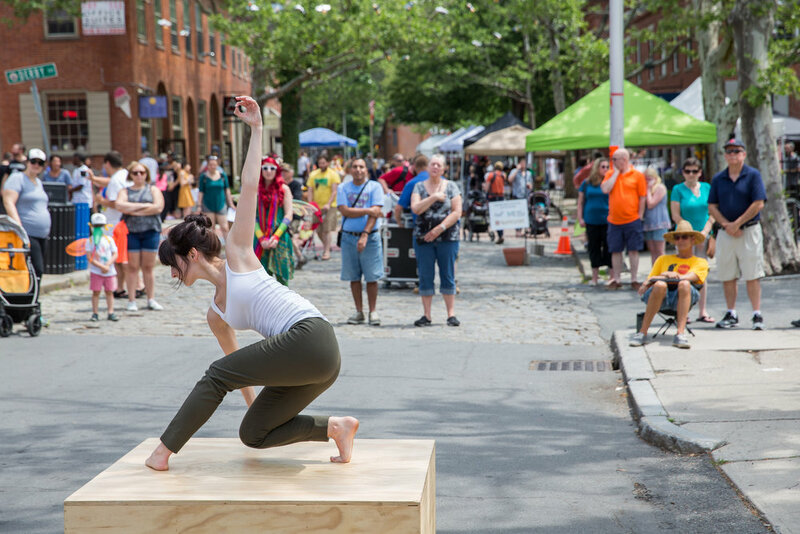 The Salem Arts Festival promotes the arts in downtown Salem through a collaborative festival for residents and visitors providing opportunities to highlight the existing artist community and encourage general community participation in the arts. The festival is celebrating 10 years and regularly draws over 5,000 visitors. The festival is looking for art and performance for the sophisticated art patron as well as for the art novice, including interactive events for children. It will engage participants of diverse backgrounds and ages by reaching out to current art patrons, local students, and the community at large.